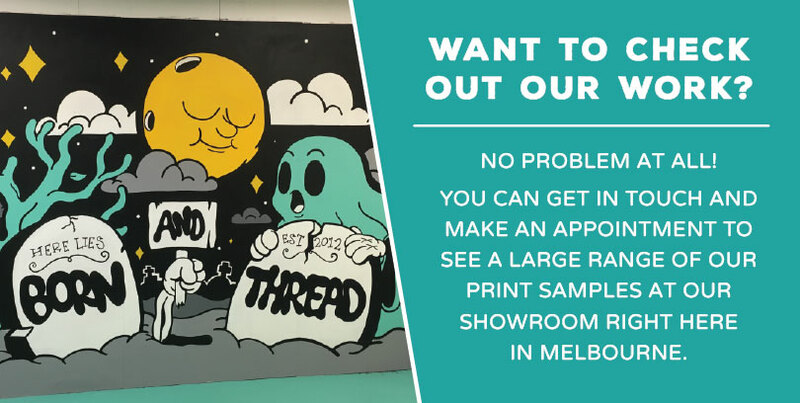 Here at Born and Thread we are committed to replying to your enquiry as fast as we can, in most cases you can expect a reply on the same day or the next business day. Please contact us to organise an appointment, then we can show you through our showroom print samples and discuss your print order in more detail. Check out our instagram to see our latest work! Please note - be sure to include the following info..
Qty of garments to be printed, garment colour and style. For example - 20 Black T-shirts with a front chest print.